Happy 240th birthday, Jane Austen! Jane Austen was born 16 December 1775 in Hampshire, England. Birthdays were important events in Jane Austen’s life – those of others perhaps more so than her own. The first of her letters which has come down to us was a birthday letter, addressed to her sister Cassandra, who had turned 23 that day. “I hope you will live twenty-three years longer,” Jane Austen wrote on 9 January 1796, immediately adding that “Mr Tom Lefroy’s birthday was yesterday”, and that in celebration of this, they had “had an exceeding good ball last night” (Letter 1). Tom Lefroy was a young man Jane Austen was very much in love with at that time, though he would have been too young for anything serious to have come of it. Another birthday letter to Cassandra survives, written three years later: “I wish you Joy of your Birthday twenty times over” (Letter 17, 8−9 January 1799). Whether Jane ever received any birthday letters herself we don’t know: only five letters have survived that were addressed to her. There must have been many more, but they were all destroyed. The ones that still exist today have to do with her career as a writer, something she was very proud of, so this may be why she kept them. Looking for the word birthday in the letters produces six more references, three of which mention royal birthdays, those of Queen Charlotte (Letter 65), King George (Letter 75) and their daughter, Princess Sophia (Letter 95). Birthdays appear to have punctuated Jane Austen’s life, for in Letter 140, to her ten-year-old niece Caroline, she noted: “Our Fair at Alton is next Saturday, which is also Mary Jane’s Birthday.” Mary Jane was Caroline’s cousin, who would turn nine the week after. And Jane Austen dated her next letter, Letter 141, to Anna Lefroy, Caroline’s elder and already married half-sister, with the words: “Chawton, Sunday, June 23rd Uncle Charles’s birthday”. 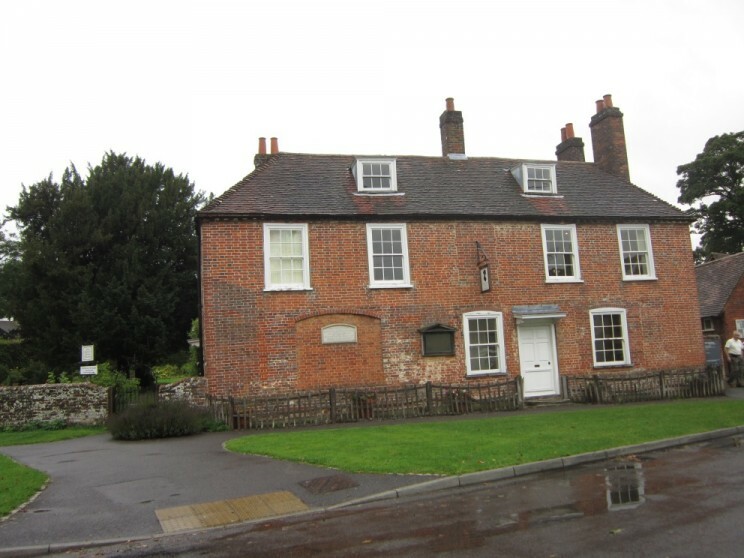 “Jane Austen’s House Museum, Chawton, England.” Photo provided by Ingrid Tieken-Boon van Ostade. But the loveliest letter Jane Austen ever wrote and in which she commemorates another young Austen’s birthday is the one to Cassandra Esten, her brother Charles’s daughter. The letter is written in reverse spelling: “Ym raed Yssac,” it begins: “I hsiw uoy a yppah wen raey … Siht si elttil Yssac’s yadhtrib, dna ehs si eerht sraey dlo” (8 January 1817). The three-year-old birthday girl referred to here was Cassandra Esten’s namesake, Cassandra-Eliza, Jane Austen’s youngest brother Frank’s fifth child. The letter ends: “Doog eyb ym raed Yssac. – Tnua Ardnassac sdnes reh tseb evol, dna os ew od lla. Ruoy Etanoitceffa Tnua Enai Netsua” (Letter 148). 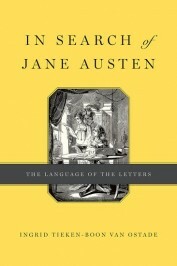 What fun it must have been to compose the letter, and what a wonderful aunt the Austen children had. Featured image: “The tools of the Art of Letter Writing” by Eileen Kane. CC BY 2.0 via Flickr. Ingrid Tieken-Boon van Ostade has a chair in English Sociohistorical Linguistics at the University of Leiden Centre for Linguistics (Leiden, The Netherlands). Her most recent books include In Search of Jane Austen: The Language of the Letters, The Bishop's Grammar: Robert Lowth and the Rise of Prescriptivism, and An Introduction to Late Modern English. She is currently the director of the research project "Bridging the Unbridgeable: Linguists, Prescriptivists and the General Public".